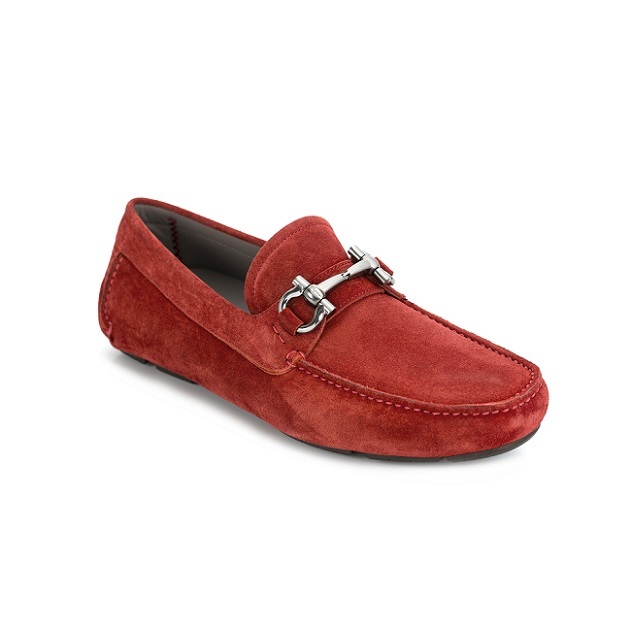 Salvatore Ferragamo has a special pick for this coming father's day by presenting the products with Gancino logos to give the fathers a different surprise. In Italian, Gancino is a small metal hook. It is an ode to the wrought-iron gate of where the original Salvatore Ferragamo workshop was in Florence. This distinctive element is more than a charm or a hook, it is nearly a logo, and appears on countless accessories and pieces of apparel. Its use was embraced definitively since the end of 1980s in a successful balance of style and function. The brand new footwear collection features the classic Gancini cufflinks. The comfortable shoe style is equipped with a contemporary and functional design. It is suitable for mature dads, as well as fashionable dads. In addition to using the classic Gancini logo, the leather goods series also features a variety of bright colors. The bold and modern leather goods, which will surely be a perfect gift for all fathers and give them a colorful Father's Day.